Whether you strive to be a world champion sailor or you just like messing around in boats, sailing classes at Cooper River Yacht club can help you achieve your sailing dreams. 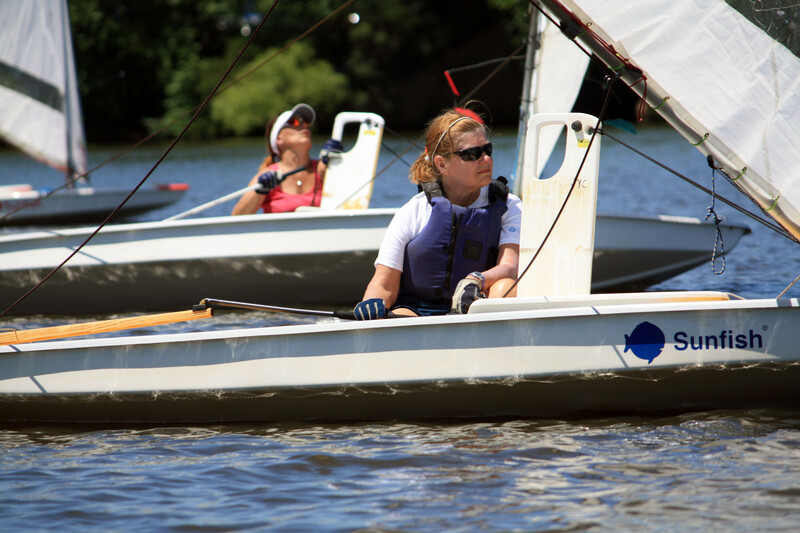 Over the past 50 years the Cooper River Sailing School has prepared numerous sailors for recreational and competitive sailing. Several regional, national, and world champions have actually received their start in the Cooper River Yacht Club "Learn To Sail" program. Instruction is provided by experienced sailing instructors. Youth classes are daytime, on weekdays and adult classes are evening classes. The curriculum is developed from proven source material developed by US Sailing, the governing body of the sport. Safety on and around the water is emphasized. All students must wear life jackets on and off the water. There is always one or more safety boats in the water during classes. are offered to children ages 8 to 18. Morning, afternoon and full-day classes are offered. Adult classes are offered in the evenings. Classes are 2 hours in duration and start at 6:00 or 6:30 pm depending on time of year. All sessions are two evenings per week.